The African Ministerial Pre-Consultative Meeting on the CSW 61st scheduled for next month – Kenyatta University TV (KUTV). All Rights Reserved. 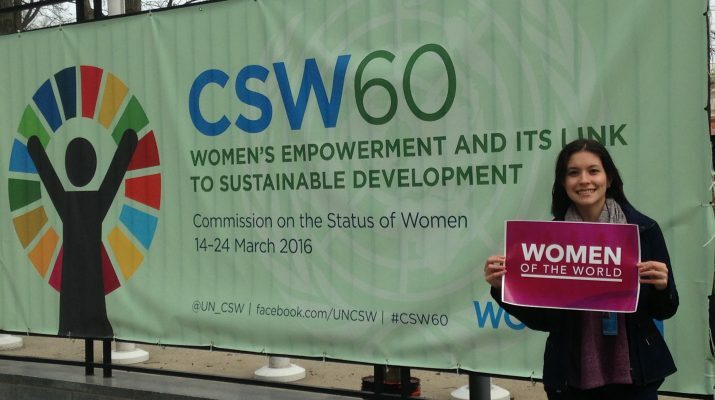 The 61st Commission on the Status of Women (CSW 61), which will take place in New York next month is well underway. In preparation of this annual event, UN Women in partnership with the African Union Commission (AUC) held a two-day Pre-Consultative Meeting at the UNECA HQ in Addis-Ababa on Thursday, January 26th-27th at margins of the 9th AU Gender Pre-Summit. The event was organized under the theme: “Women’s Economic Empowerment in the Changing World of Work”. The goal is to build a consensus among African countries around issues pertinent to gender inequality in the workplace in Africa with the view to promote a unified approach, adopt a common agenda on gender equality and women’s empowerment to inform global platforms and a “One Africa, One Voice” at CSW61 essential to shaping and influencing the CSW61 Agreed Conclusions. The event brought together representatives of AU Member States which included Ministries of Women’s Affairs, Ministries of Labor and Social Welfare, Permanent Representatives to the AU, the AUC, Regional Economic Communities (RECs), Regional organizations, CSOs and UN partners. The discussions, analyzed the changing world of work for Women in Africa and the development of action-oriented recommendations that support gender-responsive implementation of the 2030 Agenda for Sustainable development and Agenda 2063; explored roles and responsibilities of governments, international organizations, private sector and civil society; assessed the transition from MDGs to SDGs; and consolidation of an African common position. Addressing delegates on behalf of H.E Dr. Nkosazana Dlamini Zuma, Chairperson of the African Union Commission (AUC), the Special Envoy for Women, Peace & Security in Africa of the AUC, Ms. Bineta Diop noted in the opening ceremony that “Economic empowerment of women, especially strengthening their role in agricultural transformation and financial empowerment is key to strengthening of women’s participation at all levels of decision-making. The role of women in the area of peace and security is aimed at restoring the dignity of women and women’s health in particular; on reproductive health issues. Education and in particular demands in the fields of science, mathematics and technology is also of to the importance continent. All these priorities go in the direction of reinforcing the capacity of the woman so that she is sufficiently equipped to take her place in all the fields, particularly in the world of work, which is the main theme of our discussions today.” She continued to say. Ms. Giovannie Biha, Deputy Executive Secretary of the ECA who represented Dr. Abdalla Hamdok, Executive Secretary of ECA, on her part proposed a few policy proposals so that women’s rights in employment are fully secured and protected. An outcome document that will outline Africa’s Key Messages on the priority and review themes of the CSW61, an agreement on a coordinated Africa Strategy and a comprehensive report of the two-day meeting is to be drafted for use by Member States for further action and advocacy at national and international levels. The output document from this Pre-Consultative Meeting on the Commission on the Status of Women Sixty First (CSW 61ST) will be presented and further discussed in New York and will be considered the “One Voice, One position” for Africa.